Monarch Air Group provides private air charter in Murfreesboro, TN. Our clients benefit from top-notch service, unrelenting dedication to safety, wide selection of aircraft, and years of experience in chartering private jets. To obtain a free quote, please use our online quoting tool provided below, or call toll free 1-877-281-3051. Monarch Air Group provides private jet charter flights in and out of Murfreesboro, Tennessee, USA. Murfreesboro is a commercial city in central Tennessee, southeast of Nashville. The population of the city is about 108,755 people. Being the fastest growing main city of Tennessee, Murfreesboro is also among the fastest growing cities in the country. It is home to the largest undergraduate university in the state of Tennessee – Middle Tennessee State University. The most popular places of interest include Old Fort Park, Murfreesboro Little Theatre, Barfield-Crescent Park, Discovery Center at Murfree Spring, Oaklands Historic House Museum, and much more. Murfreesboro is serviced by Nashville International Airport (IATA code BNA), Murfreesboro Municipal Airport (MBT), and Smyrna Airport (MQY). 2. FYM, Municipal, Fayetteville, United States. 3. GHM, Municipal, Centerville, United States. 4. 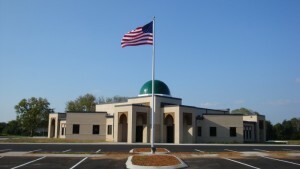 MQY, Smyrna, Smyrna, United States. 5. MRC, Maury County, Columbia, United States. 6. RNC, Warren County, Mcminnville, United States. 7. SYI, Bomar Field, Shelbyville, United States. 8. THA, Tullahoma/William Northern Field, Tullahoma, TN, United States. 9. TUH, Arnold AFS, Tullahoma, United States. 10. UOS, Franklin County, Sewanee, United States. 1. Clarion Inn and Suites, 2227 Old Fort Parkway, Murfreesboro. 2. DoubleTree by Hilton Hotel Murfreesboro, 1850 Old Fort Parkway, Murfreesboro. 3. Holiday Inn Express Hotel Murfreesboro, 165 Chaffin Place, Murfreesboro. 4. Clarion Inn and Suites, 2227 Old Fort Parkway, Murfreesboro. 5. DoubleTree by Hilton Hotel Murfreesboro, 1850 Old Fort Parkway, Murfreesboro. 6. Ramada Murfreesboro, 1855 South Church Street, Murfreesboro. 7. Holiday Inn Express Hotel Murfreesboro, 165 Chaffin Place, Murfreesboro. 8. Clarion Inn and Suites, 2227 Old Fort Parkway, Murfreesboro. 9. DoubleTree by Hilton Hotel Murfreesboro, 1850 Old Fort Parkway, Murfreesboro.